Thanx for all your wishes dearies on my 250th post and am so happy to have such wonderful blogger friends with me.Hoping to see you all in my coming posts too!! -Peel,wash and cut the onion in 1/4 "thickness round slices.Separate each round gently.Keep aside. -Prepare a corn flour,all purpose flour,pepper powder,salt mixture with water. -Now,dip each coated onion slice in the mixture. -Use a ziplloc bag or any sealed pouch to put the bread crumbs.Remove from the flour coating and put it in the bag with bread crumbs.Shake the ziploc bag to coat the onion rings. -Then,place it on the tray and repeat for other slices. * You should serve them hot,otherwise they lose the crispiness.I didn't give a try with egg white,I think that will give a more crispier ring which will last longer on cooling. 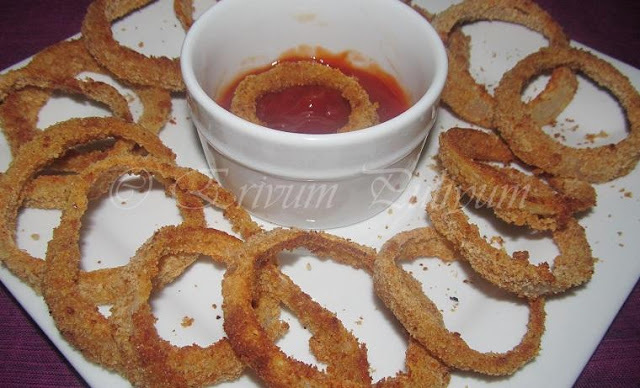 Hi.. never make homemade onion rings.. always got it from A&W.. Hehehe.. Should try your recipe one day. 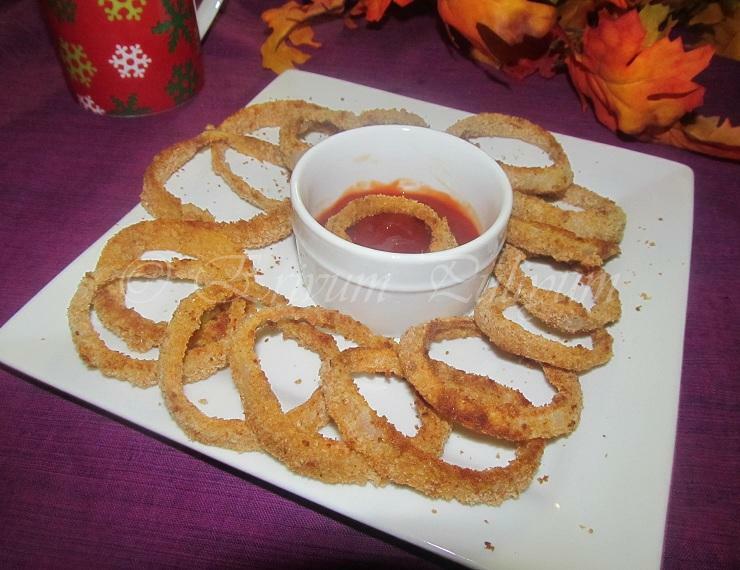 Much healthier version than deep fried...Love onion rings! 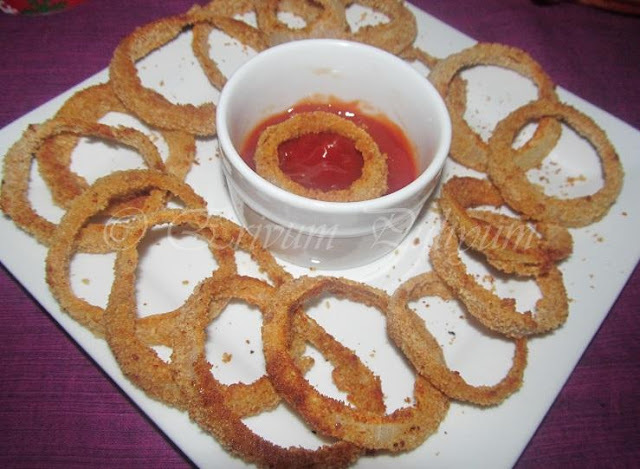 Love onion rings and if it's baked double like !! This is my Quay Lo's favorite and I like that they are baked and not deep fried. wonderful Julie.they look gorgeous! !..must try these too!!.. Those onion rings looks fabulous and definitely addictive. 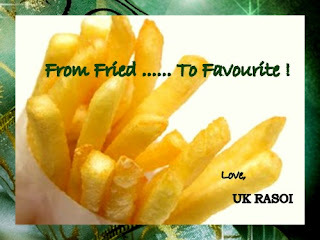 yummy snack.. happy blogging Julie..
Nice one..my daughter's favourite..will try the baked onion rings..
Congratulations. Onion rings are so delicious. Looks very crisp, can't tell the difference from the fried ones.. I love this snack.. and now healthy version means guilt free... wow!! Looks yum. Must try these out. Will check out Nupur's event. I love onion rings, more than french fries. I over indulge in them when I way fast food. Would love the baked version. Thats a lovely presentation Julie.. love the colour and crunch on top ..
these are wonderful.......excellent guilt free munching! I've been thinking of trying this one... will try your recipe I like pepper flavour. Very yummy one Julie, perfect snack for the kids.